Capcom has not yet released its first blockbuster for the new consoles, and before doing so seems to be testing the market to see what its fancy players. To start the year we had Resident Evil HD Remaster and Resident Evil Revelations 2, the most classic face a more modern approach, and soon after came DmC: Definitive Edition, with new and discussed Dante, which will have its reply within very little Devil May Cry 4: Special Edition, the latest 'classical' installment of this saga, developed in Japan, before passing into the hands of a Western studio and Ninja Theory. 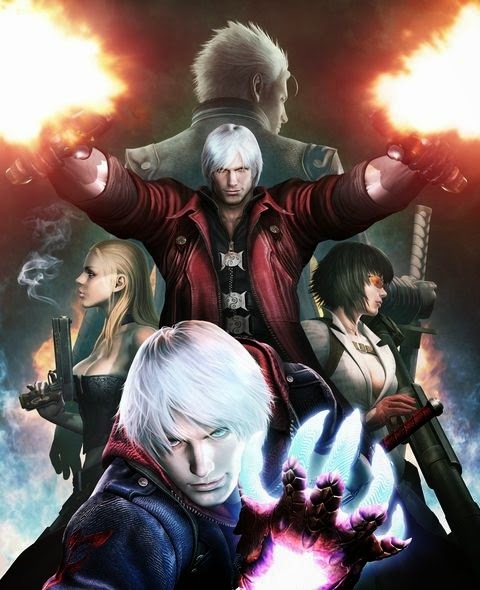 Devil May Cry 4 was originally launched in February 2008 for PlayStation 3 and Xbox 360, and a few months later, in July, also came to PC. Although this hack and slash looked really good, as was expected at the time of a next-generation game and playable remained more or less the hallmarks of the latest installment, the truth is it was a tad disappointing, and it was not able to satisfy the most demanding fans of the saga. 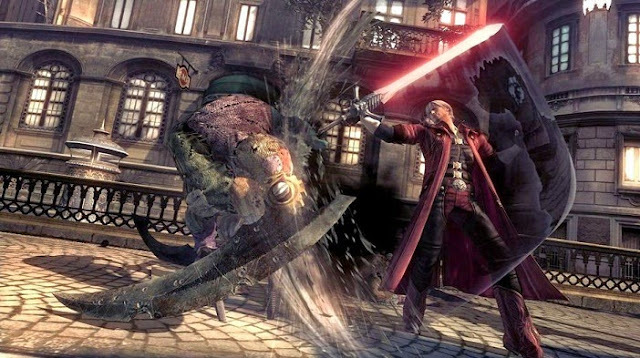 Devil May Cry 3: Dante's Awakening had left the bar very high, possibly being the best installment of the series, or at least the best hack and slash - and certain decisions, such as giving center stage to a new character, Nero, and They try to Dante as a side, were not liked by everyone. Neither a decrease from the previous difficulty, a story without much interest, or the fact forces us to revisit scenarios with the excuse of controlling a different character. Anyway Devil May Cry was and is a good game, as we have seen to return to play, and who then lost it, or have wanted to remember, will have a great opportunity in this new version for PlayStation 4, Xbox One and PC, with the tagline Special Edition will bring a few new features. Chief among these are three new playable characters, Vergil, Lady and Trish, plus some adjustments to the combat system, and certain features previously exclusive to the PC version. If the original Nero and Dante we controlled depending on the stage, mostly at first, now we have two campaigns, one starring Vergil exclusive, and the other by Lady and Trish, playing with the first levels they were before Nero, and Trish in which were Dante. When you start playing the new campaign shows us a completely original cinematic starring these characters, but then the rest of the game there is no narrative, was not created a new story, and just the original sequences are skipped while playing the different phases. Since these three new characters are the main novelty, its inclusion in the playable area is very elaborate. 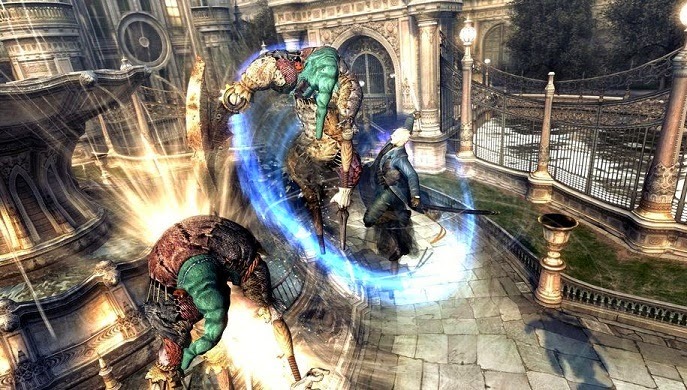 Vergil is based on the version of the character that appeared in Devil May Cry 3: Special Edition, with some of the characteristics of its last appearance in the recent DmC. You have three weapons, the sword Yamato, the Beowulf gloves and sword Force Edge, and has a concentration meter, which increases as hit and dodge attacks, increasing the effectiveness of their actions. There is also a new movement, the Grim Trick, which amounts to the equivalent of Devil Bringer of Nero, only instead of attracting the enemy, he teleports to them. The female partner starred in own campaign, and after her first appearance in Devil May Cry 3 is the first time you can control a Lady. For she has created a totally new style of fighting based firearms, specifically pistols, a shotgun and a powerful missile, which also serves to hit enemies melee, like a sword. Unlike the other characters, being human does not have a 'demon mode', so it can not regenerate health, but it can activate a special attack that throws a large number of grenades at a time. And finally we have to Trish, who played an important role in the history of the first installment of the series and who were able to control for the first time in Devil May Cry 2, as a secret unlockable character, but rather was a skin of Dante a character in its own right. Now he has his own style of fighting, struggling with Sparda and bare fists, and features 'daemon mode', during which he puts on his sunglasses and distributes a great time. Besides the three new characters, from the previous console version have a new difficulty mode, the Legendary Dark Knight, which adds many more enemies on every stage, including some very powerful from the beginning, and also a Turbo mode, increases by 20% the speed of the game. Both features were already in the PC version was released that day, five months after his arrival regarding consoles, which was used to include new content. There will also be additional unlockable costumes, which not only see during the fighting, also during cutscenes. As for the graphics, we again have 60fps, though now fully stable, since in PS3 and Xbox 360 suffered falls at peak times, and a resolution of 1080p, which makes it look very nice with a crisp, clean image. We have to admit that to be seven years old, we were surprised how good it looks today, something we do not know if merit of Devil May Cry 4, or demerit of the games we've seen in the new consoles until time, except a few cases have shown little graphically. In full remasters fever, Capcom would not be left behind as one of the leading companies making these products for many years, and Devil May Cry 4: Special Edition we will offer remaster its third in less than six months. Whether or not necessary is something they have to say the players with their money, but from what we've tried so far we can say that they have done a good job, and that new characters are an interesting incentive. If you like this hack and slash and have it slope, very soon you'll be able to take that thorn with this new version PS4, Xbox One and PC, which currently only be launched in Europe in digital format.